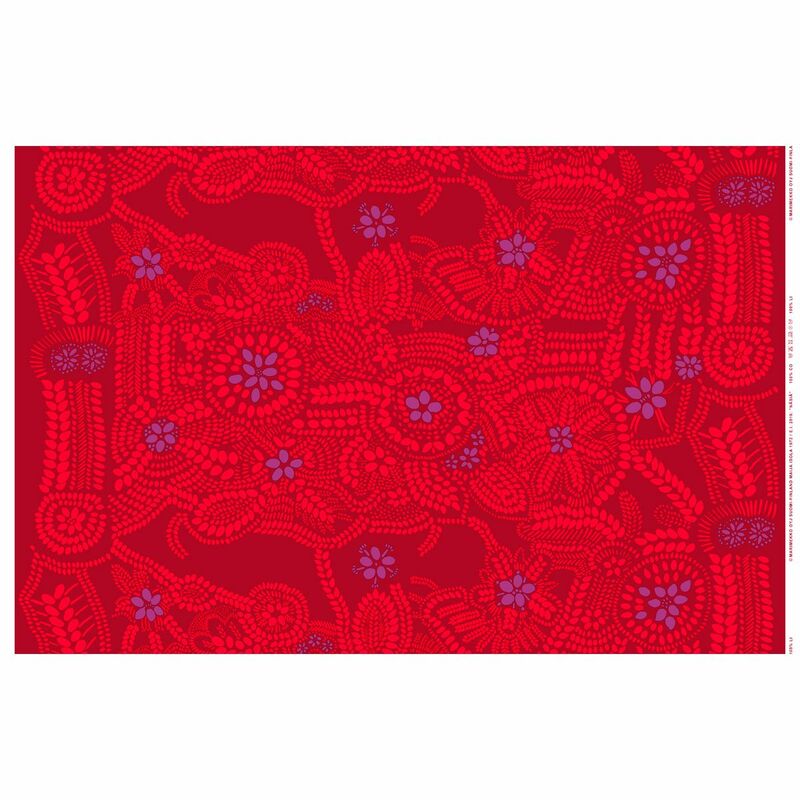 More about Marimekko Nasia Red / Violet Sateen Fabric Nature was a source of inspiration for Maija Isola, and the Näsiä print was inspired by the shrub that rises early spring in Scandinavian countryside. 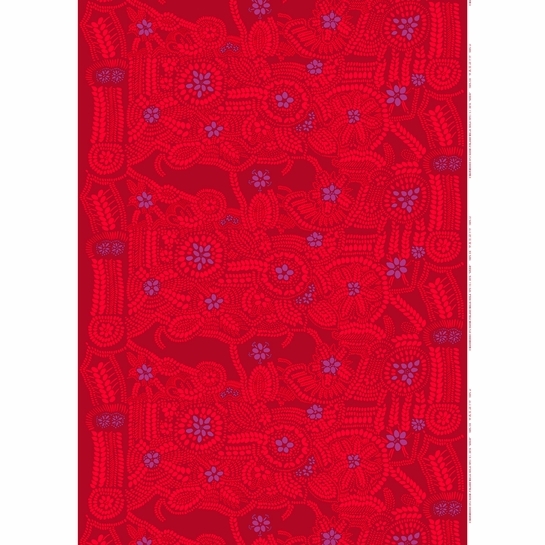 The lilac plant takes on a festive color scheme paired with bright red. 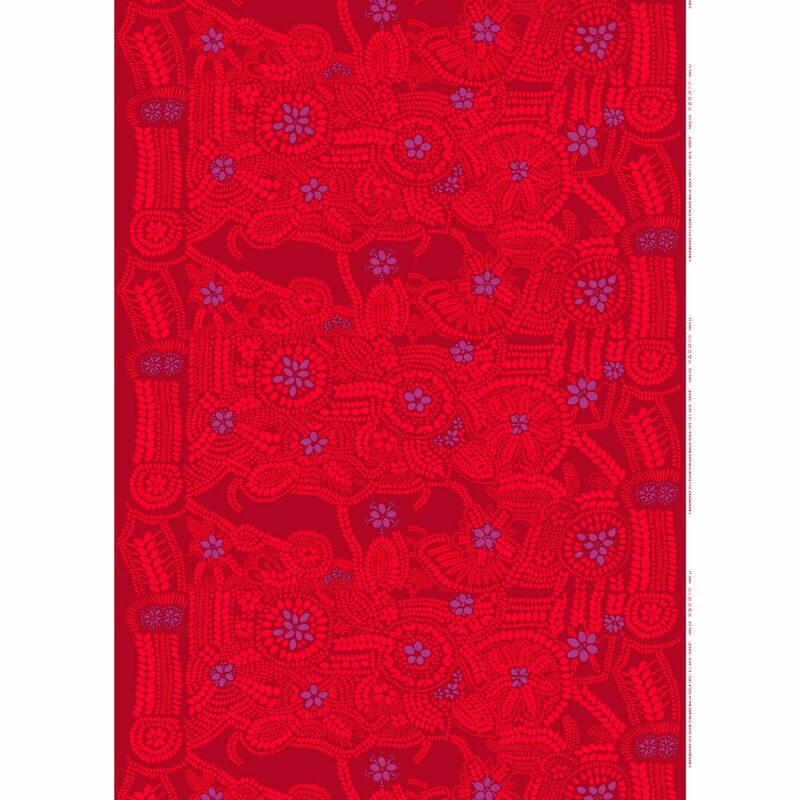 The rich colors, paired with the slight sheen of the 100% cotton, makes it a luxurious addition to home decor in the form of curtains, wall hangings, table linens, and more. 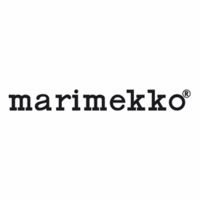 This Marimekko fabric is sold by the yard. Enter desired quantity of yards in the “Yards” field. If you order multiple yards, they will remain intact. Please order carefully. Cut fabrics cannot be returned.